Even more tools for your website design! 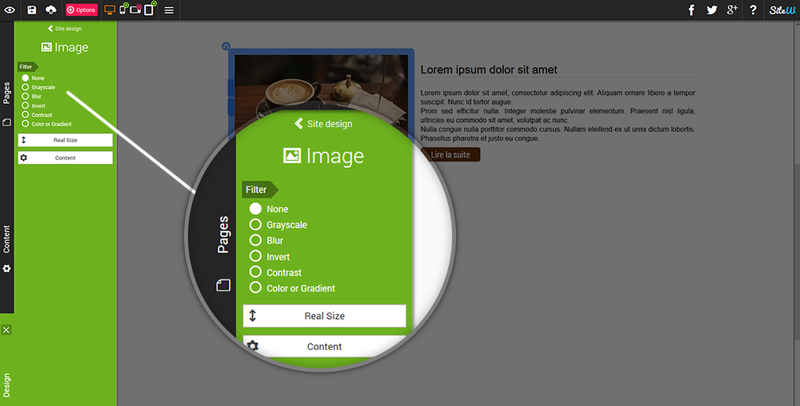 Here are new features to customize your website look with the possibility of adding filters to your images directly on the SiteW website builder. You want to build your own website? 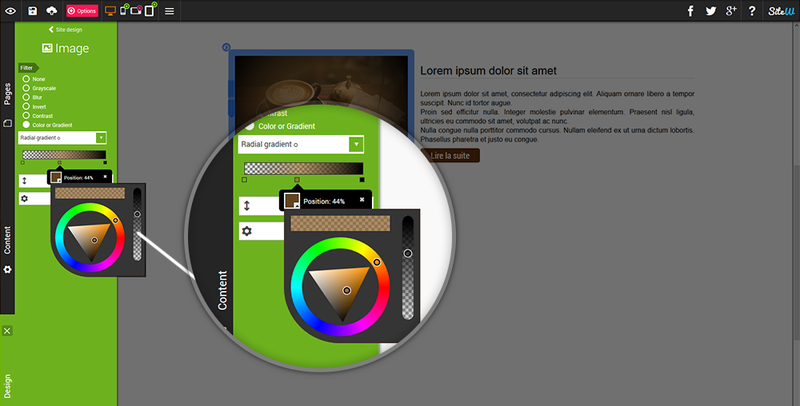 You don’t need to use a specific image editor any longer, you can do everything from your website creation page. How to enable filters for my images and sliders? Click on your Image or Slider block to select it. In the Filter section, choose one of the 5 filters. Black and white - this filter will allow you to convert your image or slider to black and white. This option can be used if you want to unify your website colors or to subdue colors that would be too bright otherwise. Blur - this filter will allow you to add a blur overlay to your image or slider. This option gives you the possibility to add a title to an image or slider used as a header and thus to increase its readability. Invert - this filter allows you to invert the colors (negative) to obtain a stunning effect which will impress your visitors. Contrast - this filter will allow you to add contrast to your image in order to highlight it. Perfect to separate two sections of your web page. Color or gradient - Add a color overlay (or a transparent gradient) to your image or slider, so that you can insert a block (Map, Contact, Comment…) over it, you can also easily add texts, titles or even links. This filter is very useful for your headers and footers! Just like the Black and White filter, the color overlays will also give you the possibility to unify your website colors, if needed. Check the Color or gradient box. Choose your gradient style (radial, horizontal, diagonal or vertical) in the dropdown menu. You can modify your gradient by adding and moving the color squares along the gradient bar. Select the color and transparency level by clicking on the color squares and by using the color picker. You can visit our Demo website to see all the designs that you can create with the filter feature. You now have cute easy-to-use new tools to improve your website design. We are sure you will make the most of them!